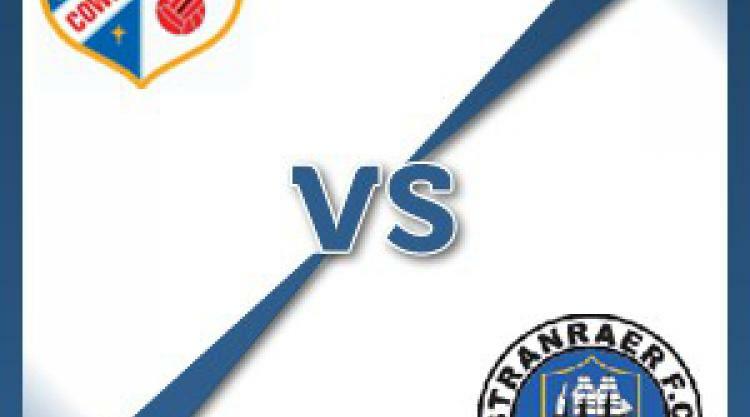 Cowdenbeath V Stranraer - view commentary, squad, and statistics of the game live. Cowdenbeath goalkeeper Michael Andrews is available to face Stranraer as his suspension for being dismissed against Dunfermline last weekend will be served in next season's Scottish League Cup. Jack Beaumont is the only absentee for the Blue Brazil due to a foot injury, with manager Colin Nish adding Hearts striker Robbie Buchanan to his pool on loan. Nish said: "We have had played two games and had two different performances. We did well against Raith Rovers and then were poor against Dunfermline. "We have to put in a high-standard performance again as Stranraer have shown in their two games already that they will be a decent side this season." Stranraer head to Central Park without Liam Rowan, who has an ankle injury, while Paul Cairney needs to pass a fitness test before he can feature. Manager Brian Reid said: "We put on a decent and solid showing against Stenhousemuir last weekend and deserved our Scottish League Cup win. "We will go to Cowdenbeath with confidence and look to build on that display but it will not be easy as Central Park is always a tough venue. "We are still one or two players short of where I would like our squad to be, however I reckon that we have enough about us to get something from this game."